In the summer of 1977, The Facemaker opened in an old house at 1513 16th Street. With the help of friends, the house was remodeled, allowing me to cut hair in the front and to live in the back. It was an exciting time for a 21 year-old barber! Immediately many of Huntsville’s most respected citizens and many of the SHSU students came to give us a try. In 1990 we were able to purchase the building that is the current home of The Facemaker. Most of the building had been gutted. The walls and support beams were the only remaining structures from the original building. Almost everything else has been added. The Facemaker occupies a building built in 1885. It was originally a theater, and later housed Barrett’s Hardware store until the mid 80’s. The building remained empty until 1990 when it became Huntsville’s first full service hair salon. The building has significant meaning to me because of its previous manager, Garland Sydow, who hired me to work in 1975-76 during the Barrett’s Hardware era. Today I still believe him to be one of the greatest examples of a Christian that I’ve ever known. 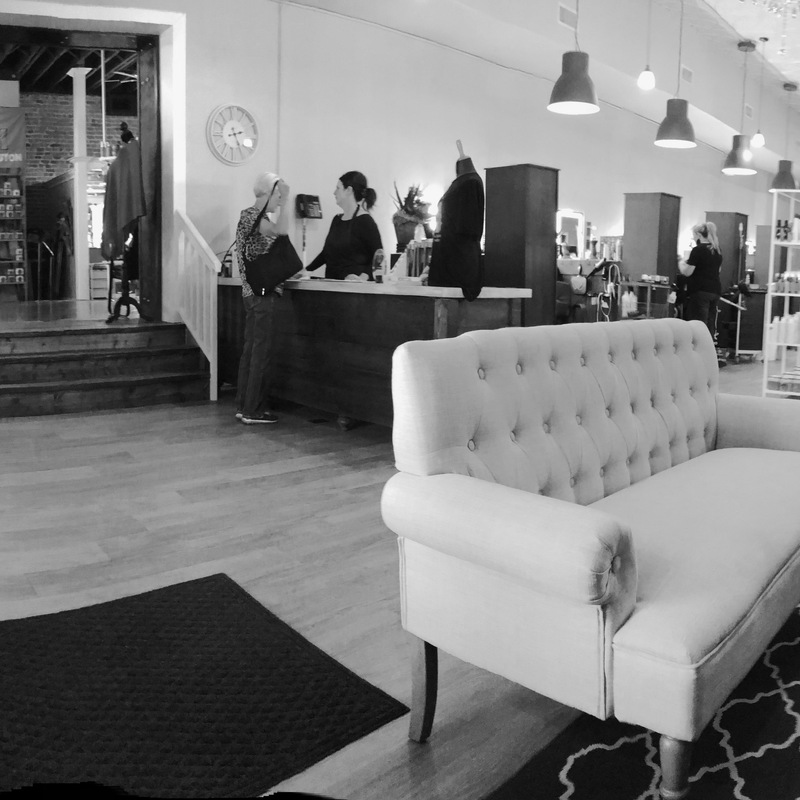 In October of 2018, we expanded our salon to accommodate our clients needs. We added 2,200 more square feet next door, and connected them together to have a better customer flow. 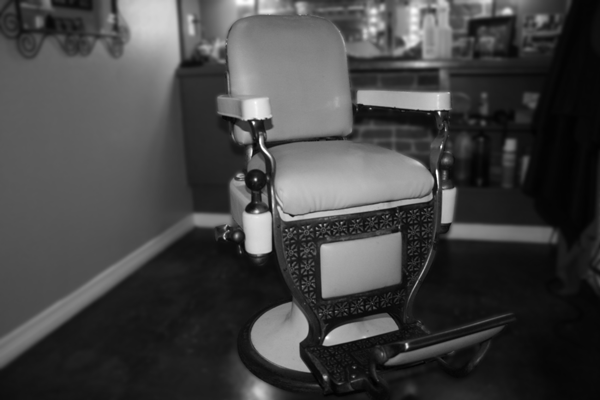 we also added luxury seating on both sides of the salon, to give an “Austin Inspired Feel!” Come let us earn your trust. Making faces & cutting hair since 1977. 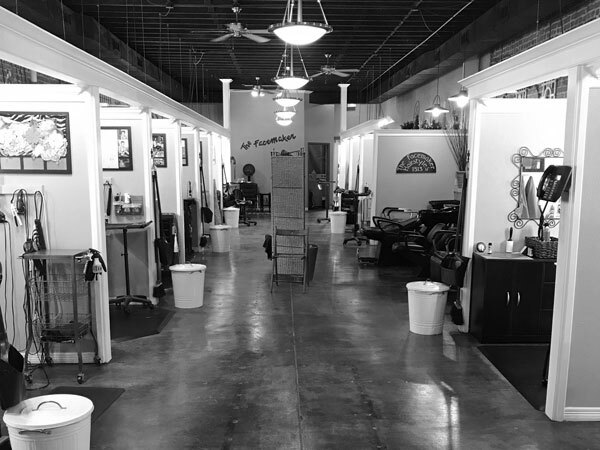 Today we are a full service salon, carrying the finest lines of hair care products, costume jewelry, and Circle E candles. With over 300 years of combined experience, our salon experts can handle any occasion, from a haircut, to a wedding updo, to a full day of pampering. I am very thankful to have been instilled with a “hard work pays off” work ethic and to give God the glory in all things. I appreciate your business and it is a privilege to serve you!